Manual wind vintage Bulova watch. Product code: 1012 Categories: Sold Items, Sold Watches. The Bulova watch company bring out some great looking watches, and this one from the 1940’s has a great looking watch case with fancy lugs. Made with a 17 jewelled manual wind movement, the 2-tone dial in a chocolate brown and golden/bronze colour, it has Roman numerals with the sub-seconds at the bottom. The gold capped watch case measures 21mm x 27mm )or 33mm to the end of the watch lugs) and will look perfect on anyones wrist. 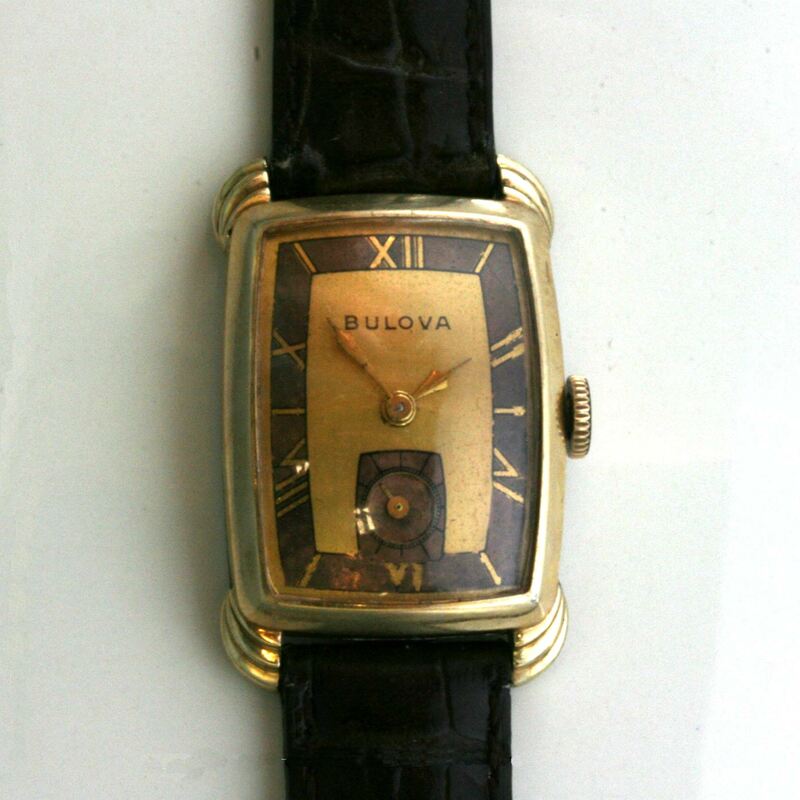 A classic vintage Bulova watch that will looks great with that 2-tone dial.